Atheer‘s AR smart glasses provide an interactive experience for industry, overlaying digital information for manufacturing, construction and medical uses. Andrew explores Atheer AiR and augmented reality with Theo from Atheer at the Wearable Technology Show. Atheer has worked hard to develop a set of easy-to-use and self-contained augmented reality smart glasses with a familiar user interface. 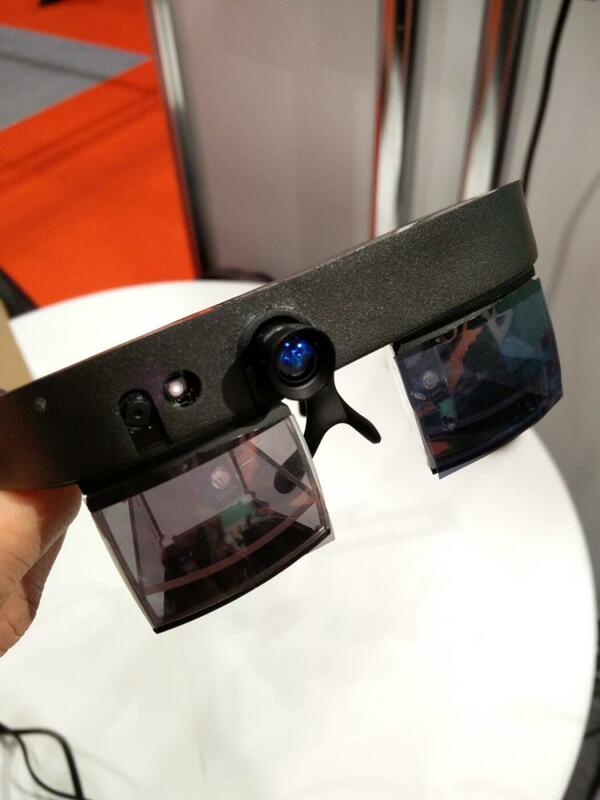 Simply, the glasses run Android with familiar apps and navigation, though Atheer have built additional features and apps, such as 3D depth. Atheer have used their experience in UI to ensure that the digital world doesn’t interfere with reality, positioning content on the periphery while keeping central vision clear. The built-in camera detects hand motion and gestures. Tap on a virtual icon and the app launches. I tried out Atheer’s first generation smart glasses and I was surprised at the experience. While there’s a certain element of novelty, I could see how they’d be useful in a range of industries and beyond that, I don’t think it’ll be too long before AR is common in the office and at home.